If you have print photos, slides or paper documents that you want to use in your memoir, autobiography or travelogue, there are only two good ways to create a digital version. Scanning is the one most people think of first, and it will usually give you the highest quality results. However, there is another option for photos, documents, and even slides. For those who wish to spend less time and/or money on the project, it is fairly easy and fast to take decent quality digital photos of photos or other documents. The quality in many cases may not be quite as good as a scan, but minor imperfections may not be noticeable after the image is sized to fit in a book. If you are interested in learning more about this quicker and less expensive method, see our post on Taking Photos of Photos or for slides, see our post on Slide Sorters and Slide Viewers. 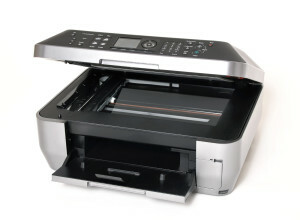 Do it Yourself: Many of us have scanners or all-in-One printer/scanners in our homes. 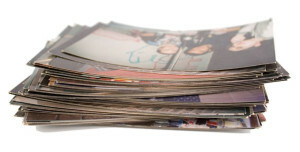 For photographs and documents, these usually do a pretty good job of making a printed photo or document into a digital image. Most people however do not have the equipment necessary to scan slides or negatives, but you can buy or rent these types of scanners, if you are determined to do the scanning yourself. Every scanner or printer model has its own software for scanning, so you’ll need to figure out a system for scanning your photos at a high resolution (600 dpi if possible) and saving them into a folder on your computer that you will be able to locate when you are ready for them. Ship your photos to a scanning service: You can find very reasonably priced scanning services all over the Internet. ScanDigital is a company that we have used and were quite happy with the results. Use Coupon Code “MemoirHelper” for a 10% discount on ScanDigital.com services. There are many others if you Google “photo scanning services” or “slide scanning services”. Make sure you choose a service that gives detailed instructions on how to prepare and ship your photos and/or slides. Big Box and Drug Stores: Wal-mart, Sams Club, CVS, Walgreens and other big chains often have photo services. Usually, they send photos and slides “out” to be scanned, which means it’s not really being scanned locally. The prices are usually reasonable. Local Scanning Services: These are getting harder to find, but you can try a search for “scanning” on yellowpages.com. Make sure when you call to inquire about their services, that you ask if they actually do the scanning at their store, rather than sending it out. Of course, the main reason for having it done locally, is to avoid the risk of your photos or slides being “lost” in transit. It’s a rare event, but something to consider. See our list of Scan Services.